The political ties between Finland and Thailand are constructive and issue-based. In recent years, the exchange of visits has been affected by the 2006 and 2014 military coups in Thailand and the political unrest that led to them. As a result, the European Union decided in 2014 to freeze official high-level visits between Thailand and the EU member states. The restrictions on visits were, however, lifted in late 2017. In August 2018, Mr Mika Lintilä, Minister of Economic Affairs of Finland, made a Team Finland export promotion trip to Thailand, accompanied by a Finnish business delegation. It marked the first official ministerial visit from Finland to Thailand in almost 14 years. Under the leadership of its Ambassador to Thailand, Finland conducts a dialogue with the country both bilaterally and as part of the EU. Finland and Thailand have a common interest in intensifying their trade relations. The two countries also engage in close cooperation in areas such as education, digitalisation and innovation. Finland has an Embassy in Bangkok, and it is also represented in Thailand through its network of honorary consuls. In Phuket, Finland has a Thai honorary consul general and in Chiang Mai a Thai honorary consul, while in Pattaya it is represented by a Finnish honorary consul. Thailand is the second largest economy in Southeast Asia, preceded only by Indonesia. It is Finland’s second trading partner in the region after Malaysia. During the past few years, direct trade between Finland and Thailand has amounted to roughly EUR 400 million annually, remaining slightly in deficit for Finland. Transit trade included, the volume of their bilateral trade is actually even greater. There are some fifty Finnish companies established in Thailand, and another 200 or so are present in the Thai market through their local agents. Finnish companies are active in Thailand in fields such as mechanical engineering, communications engineering, renewable energies and the services sector. They are brought together by the Thai-Finnish Chamber of Commerce, which also provides consultancy services. Thailand continues to be a favourite holiday destination for Finnish tourists, and their numbers have been growing rapidly over the past few years. An estimated 150,000 Finns visit Thailand every year, and approximately 1,500–2,000 Finns live there. Some 7,500 Thais reside in Finland, and a growing number of them visit the country e.g. as tourists and seasonal workers in berry picking. 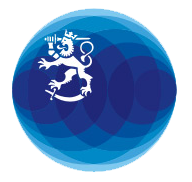 There are several Finnish associations active in Thailand. The Finnish Language School (Suomi-koulu, or Bansku) has classes in Bangkok every two weeks, and there is a Finnish school for basic education (peruskoulu) in Pattaya.